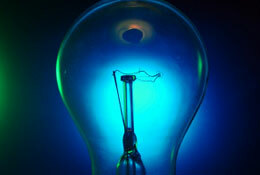 Electrical Industry content publication and distribution service. Publish content on Industry Today including images, videos and web links to direct our audience to specific pages of your website. Content published on Electrical Industry Today will appear in Google News, be shared via the social networks as well as being distributed via RSS to subscribers that have opted to receive the updates from this portal. Wiseguyreports.Com Adds “Cnc Machining Center (4-Axis) – Global Market Growth, Opportunities, Analysis Of Top Key Players And Forecast To 2024” To Its Research Database. A new market study, titled “Global LED Candelabra Bulbs Market Insights, Forecast to 2025”, has been featured on WiseGuyReports. Wiseguyreports.Com adds “Next Generation Baby Monitors Market –Market Demand, Growth, Opportunities, Analysis of Top Key Players and Forecast to 2025” To Its Research Database. Wiseguyreports.Com adds “Audio and Video Receivers Market –Market Demand, Growth, Opportunities, Analysis of Top Key Players and Forecast to 2025” To Its Research Database.